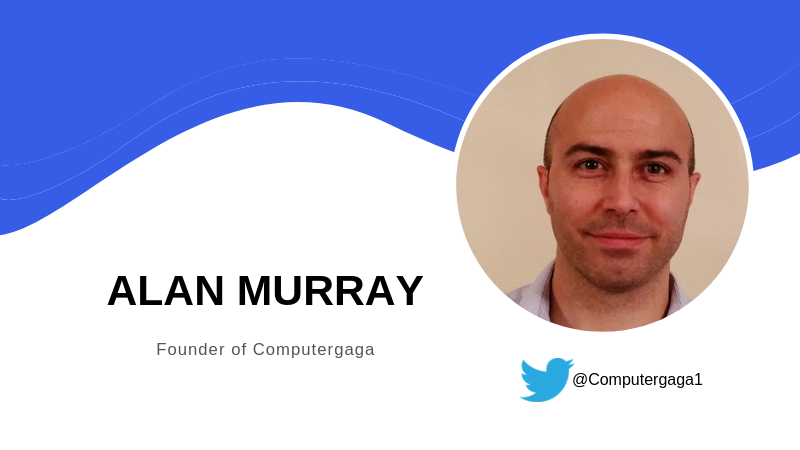 Alan Murray is the founder of Computergaga, which offers Excel training courses online, in person and via his popular YouTube channel. He values teaching Excel users at all levels and showing them the tools that can save time and drive efficiency. He spoke with us recently about his customer’s needs, why Excel continues to lead the marketplace and a couple of his top tips. How did you get started with Excel? About 20 years ago, I was working for the National Health Service and started helping out with some basic computer training for staff. From there, things blossomed. I got more involved with Excel, and now Excel is almost all I train. You note on your website that you train in lots of things, but Excel is your favorite. How did your start morph into your own business? About 9 or 10 years ago, I moved to a different county and decided to start working for myself a little bit so I could be home more with my family and not do as much traveling. That has semi-worked out — I still do a lot of traveling. Excel seems to be everywhere today. Why is Excel booming today? I think it’s because Microsoft is constantly evolving the product. Just when you think it’s had its moment and something better will come along, or as the world evolves with smartphones, AI and the cloud, Excel stays ahead of the game. It’s the go-to tool for data analytics, communicating with clients and presenting data. If you’re a big company, think about the amount it would cost you to change the whole infrastructure and bring in the new software and train everybody how to use it. And Excel is cheap. Considering what it’s capable of, what it does and how important it is in business, it’s cheap as chips. So does that mean that Lotus 1-2-3 isn’t going to make a comeback? I think it’s had its moment. Who is your customer base and what kinds of things are they looking for help with? It’s not necessarily anything specific. I’ll speak to anyone who wants some kind of assistance with Excel, whether it’s training someone how to use it, someone who wants to advance their skills or someone who needs help to do a specific project. You’re really running the gamut. Absolutely. With both the online and offline teaching and consulting, I try to keep it varied and do beginner, intermediate and more advanced VBA work. What’s the impetus when a company asks you to do onsite training? Normally, the impetus comes from the individual who might say to their line manager that they need to improve their Excel skills. It comes from the ground level. Your website has an incredible amount of free content. What’s the business strategy there? I don’t know if it’s much of a strategy. It’s really about trying to put as much content out there as possible with the idea of helping people learn Excel. I’m trying to make learning accessible to everybody. In large numbers, that work does produce revenue. It’s about making a difference. When I’m helping people solve a complex problem or at a company training people for the day, I can show them something and see that it’s going to make a difference in their day-to-day working lives. I see that I’ve saved them a lot of time, made a task easier or know they can create their report better. The pleasure comes from that. Excel has made some bold changes to its product. What’s been the impact of those enhancements? Microsoft is constantly evolving their business intelligence tools and power tools like Power Query, Power Pivot and Power BI. The upcoming change to the calculation engine is going to be a huge difference in the way we work. These are big advancements, not small things. They create a huge difference if staff know how to use them and know how they can work with their data. Tell us more about the calculation engine. The calculation engine drives all of our formulas in Excel. They’re making it slimmer and faster and are introducing a bunch of functions called dynamic arrays. It will be a huge improvement to how we work with formulas, both the existing ones but also the new ones that are being created as we speak. Can you share a couple of your favorite tips and tricks? I really like a feature called Flash Fill. It’s straightforward and is in the Data tab. It picks up patterns in what you’re doing fills in cells. It’s a massive time saver. Another is the ability in Power Query to import files from a folder. Once again, it’s such a common thing when you’re going out training businesses that they’re going to export some data from some kind of system or website. With Power Query, you can point it to a folder and specify which files you want from it. It grabs grab all the files from that folder, brings them into Excel and performs a bunch of transformations. This can all be done at a click of a button. It’s fantastic for recurring tasks that people have. Excelchat delivers custom Excel solutions on demand to help users and companies solve critical business challenges. To learn more about how Excelchat can help you get the most out of Excel, contact us today.